Nissan is said to have purchased this mansion in the historic district of Beirut for $8.75 million. Nissan is trying to block access to homes used by Carlos Ghosn in Beirut and Rio de Janeiro, part of a global network of real estate owned by the automaker and provided to its ousted chairman, according to people familiar with the situation. Nissan provided Ghosn and his family with use of properties from Brazil to France during his tenure, which came to an abrupt end last month when the executive was arrested in Tokyo over suspected financial crimes. Prosecutors in Japan indicted Ghosn and Nissan on Monday, accusing him of under-reporting his income. The Franco-Brazilian executive was arrested again in Tokyo on charges that cover a different time period than the earlier charges. That will keep him in detention for at least another 10 days. While that legal battle plays out in Japan, Nissan has been working to prevent Ghosn’s family from gaining access to a luxury apartment in Rio de Janeiro worth roughly $3 million and a pale-pink mansion in the historic district of Beirut that the automaker bought for $8.75 million in 2012, say the people, who are familiar with the investigation Nissan conducted into Ghosn that laid the groundwork for his arrest. Locks have already been changed at several properties, the people said. Ghosn’s wife, Carole, was prevented from entering the home in Beirut, they said. In Brazil, Nissan is petitioning a local court’s decision to grant Ghosn’s representatives access to the Rio apartment “due to a high likelihood of evidence being removed or destroyed,” the automaker said in a statement Monday. Nissan has not been able to enter other homes in Paris and Amsterdam because only Ghosn and his assistant have keys to the properties, according to the people. Bloomberg has tracked down five of the Nissan properties. While Ghosn was not a frequent visitor of any of the locations -- famously spending much of his time in the company’s private airplane as he jetted among continents -- his presence was noted by neighbors and service providers interviewed by Bloomberg reporters. It’s unclear if Ghosn’s use of the houses is being probed by Japanese prosecutors, but the people familiar with the matter say they figure in the automaker’s investigation into its former chairman, who brought Nissan back from the brink by creating an alliance with Renault nearly two decades ago. The locations of the residences were checked against addresses listed in documents viewed by Bloomberg, including transaction and land registry records, and interviews with service providers and people with direct knowledge of the Nissan investigation and Ghosn’s case who requested anonymity to discuss private information. Nissan kept an Amsterdam apartment for Ghosn's exclusive use, a source said. 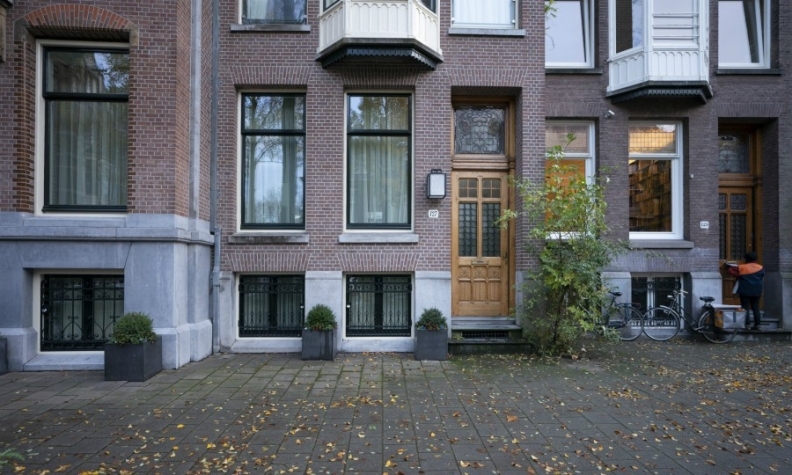 Nissan pays the rent of 8,000 euros a month on the Amsterdam apartment, which is used exclusively by Ghosn, one person said. Nissan is now trying to terminate the lease and secure inventories. The apartment is also listed as Ghosn’s address on land registry documents for a house near Paris that he co-owns with his first wife, Rita. Located on one of Paris’s most luxurious avenues and spanning three floors, it was bought by a Nissan subsidiary in 2006, French land registry documents show. The original purchase price was less than $4 million, and it was originally rented by Ghosn, one person said. A resident of the building said that she had not seen Ghosn for at least two years. 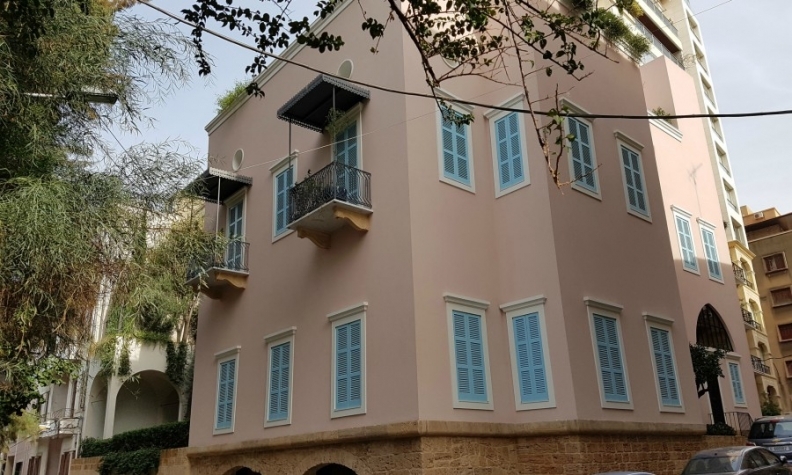 This house is registered to Nissan but was at Ghosn’s disposal, said Hadi Hachem, chief of staff of Lebanon’s minister of foreign affairs. Nissan paid $8.75 million for the home in 2012, and former Nissan director Greg Kelly handled the deal, one person with knowledge of the investigation said. Nissan then spent an additional $6 million renovating the home, which includes a wine cellar and sarcophagi displayed in a glass case near the entrance, the person said. A barber, whose shop is a few meters from the house and who has seen Ghosn at the residence several times, said there appeared to be a dinner party there on the Friday night before Ghosn was arrested. Ghosn planned to buy the house from Nissan and transfer the ownership to himself, but the transfer has not been completed, according to people familiar with the matter. After Ghosn's arrest, representatives from Nissan changed the locks to this apartment and took cars from its garage, according to a person with knowledge of the actions. Nissan owns the apartment, two people said. Property records list the owner as Hamsa 1 Limited, which is registered in the British Virgin Islands. It signed the deed in January 2012, paying 10.5 million reais, records show. That was the equivalent of nearly $6 million at the time. This apartment was leased in Ghosn's name until June 2017, when it was transferred to Nissan. The company paid the monthly 1-million-yen ($8,900) rent before and after the transfer, one person said. The apartment was used only by Ghosn and his family and only for a few days each month on average. Nissan has secured access to the apartment since Ghosn's arrest.